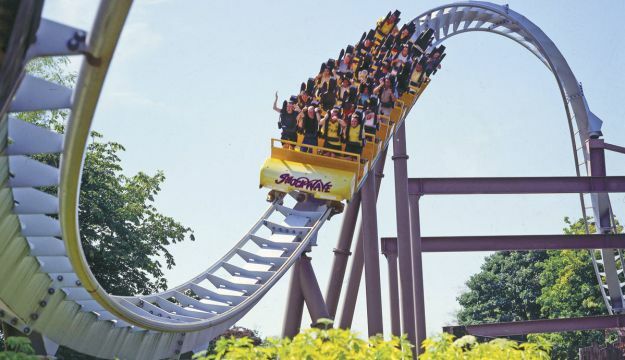 Drayton Manor Theme Park, one of the UK’s most popular attractions, offers something for everyone and with fantastic offers it’s the perfect destination for groups this summer. The park, near Tamworth, Staffordshire, has some of the biggest, scariest and wettest rides around for those looking for a thrill. There’s Europe’s only stand up coaster, Shockwave and drop-tower, Apocalypse, which was voted the UK’s scariest ride by Channel 5’s The Gadget Show, as well as refreshing water rides Stormforce 10 and Splash Canyon. For younger visitors, Europe’s only Thomas Land™ attraction brings all the famous Thomas & Friends™ characters to life in a themed area of the park, complete with its very own Fat Controller. Thomas Land celebrates its fifth anniversary this year with a new guided monorail ride, Winston’s Whistle Stop Tour, which launched in July. Drayton Manor Theme Park also has a fantastic 4D cinema, with underwater adventure film A Fish Story new for the 2013 season. There’s also a 15-acre zoo which is home to over 100 species of animals from around the world, including a Sumatran tiger, a pair of black leopards and exotic birds. The Grill Inn, Drayton Manor Theme Park’s onsite restaurant, has recently launched a new menu that features a selection of snacks, main meals, desserts and a separate kids menu. For more information, or to book a table, visit www.thegrillinn.co.uk. Drayton Manor Theme Park has some great deals on offer for groups travelling together, with free entry for one organiser per coach or minibus, and free parking, as well as discounted entry for groups of 12 or more when tickets are pre-booked.